A Little Tip To Boost Your Day. Feeling tire in the morning ? 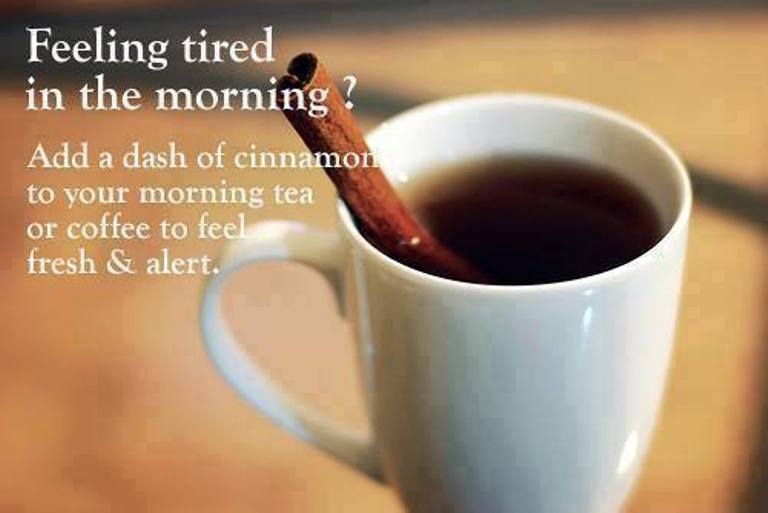 Add a dash of cinnamon to your morning tea or coffee to feel fresh and alert. By Health via Pinterest.